Share a special treat with your friends and colleagues during Chinese New Year. 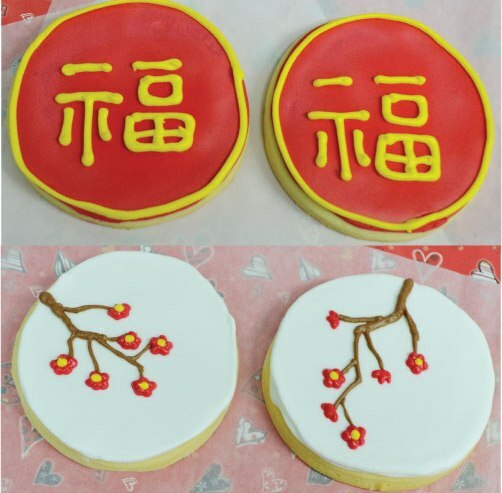 Each decorated sugar cookie measures 8 cm. Each cookie is lovingly hand-crafted with royal icing. Individual packaging in clear cellophane bags tied with festive ribbon is available for additional RMB 30 per dozen. If you would like individual packaging, please indicate so under "Special Instructions".